The new rankings are up. Rafael Nadal’s tournament win in Barcelona on Sunday has helped him close the gap on Stan Wawrinka in fourth place in the world rankings. Rafa started last week in fifth place, 1,415 points behind reigning French Open champion Wawrinka and he ended it just 545 points adrift. The only positional change in the top 10 saw Tomas Berdych move ahead of David Ferrer into eignth place with Novak Djokovic still in top spot by a huge margin over Andy Murray. It is sad that sports are suffering because so many people are so very greedy for both money and fame. Tennis is desperately suffering and the winners don’t really win. It is obvious that Rafa is on the minds of lots of people in a bad way and they will always do and say things that they think will make him look bad but for me I love and appreciate him for the great tennis player and the gentle that he is. I am at a stage where I am losing interest in tennis, I lost interest in sports some time back and was enjoying tennis but its all gone to a place that is not safe for a great player like Rafa. I hope he wins his suit against the French woman and takes everything she has. People in positions like she is in should have more integrity and dignity. Do they ever accuse other players of doping, others are winning hands down but no one says that about them. 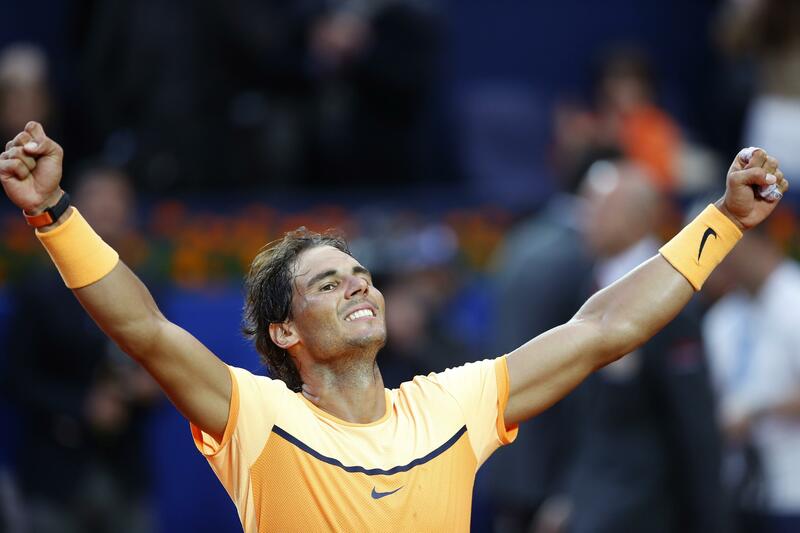 I love Rafa very much, I think of him as a son so I am very happy that he is moving back to where he belongs, to #1. My hope is that he gets good draws and not have to play all the tough players while the so called ones get walk overs. I think the thing to do is to ignore the doping allegations and concentrate on simply praising Rafa at any opportunity on social media not defending him. It’s a sad reflection on society that a man of such a young age can achieve incredible things in setting up a charitable foundation helping hundreds of children which is hardly mentioned in media. Yet false allegations of doping media/social media goes wild and everyone’s a pseudo-scientist or tennis expert. Other players, e.g. Djokovich is also sometimes accused. The bigger you are the more they will try to knock you down. RAfa, I am so pleased to see all the figures and also the advising of the doping case. HEre in Australia a well known ex tennis player has been going around spreading the same rumour,and I siad to his colleague show me the evidence or the newspaper where you read it. I have just forwarded the above article to him so I hope he passes it onto the so called ex player who I notice didn;t win any 9 French and all the others in their day that Nadal has won, and so many at such a young age.I trust it will teach them to keep their mouths shut, and get their facts correct before they pass on rumours and not facts with evidence. Very good news. Take rest and Vamos Rafa!!! Here is the story. The ATP website has listed players in the order of ranking for the year end tournament. But remember, it is only April and those rankings can change. Federer is listed as #11 and that’s why we didn’t see his name. In the Race to London I believe only the top 8 players are entitled to play in that year-end tournament. This is Rafa’s fan site so ask for clarification when things are not clear. I have to say that postings by RNFs do become confusing when dates are off and when the site’s postings are just confusing. Rafa, rest well for Madrid and Rome. Who made this list up? Where is Federer? I checked the ATP rankings and they do not match yours. And, you have a picture of Rafa above stating he is “Still #10 in the world” but the date is April 26, 2016. This is the first fan site I have ever joined so I am guessing you do this on a volunteer basis. Maybe Rafa should think about hiring someone up to the task. I think its you that should check your facts before berating others. I have just checked the ATP Race to London released today- 25th of April and yes it is the same as reported in the article. Federer is Number 11 in the list. I didn’t berate anyone. I went to the ATP rankings instead of Race to London. After looking at Race to London I posted the Race to London eligible players thus far. Then I saw your post. This is the Race rankings, not the ATP rankings. Federer is 3 in the overall rankings, but is currently outside the Top 10 in the Race as he hasn’t played much tennis this year. Rafael Nadal is #5 on the ATP ratings. The article you mentioned was from 1915, when he was injured. Federer is not there. Happy for Rafa. No puede ser ciorrecto. Donde esta Federer?